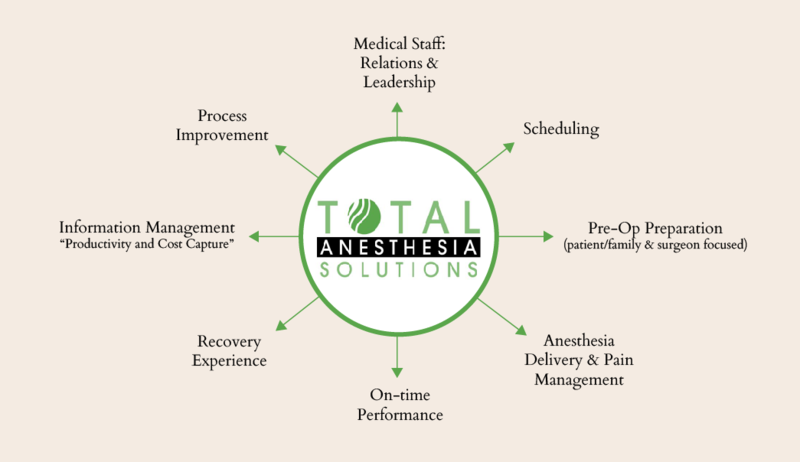 The TAS Solution starts with a high level analysis of OR efficiency and the existing staffing model utilized by the hospital/facility. A key component of the analysis is a thorough review of anesthesia coverage requirements compared to utilization. This comprehensive review allows TAS to recommend the best staffing model for the requested needs of the hospital. TAS is uniquely positioned to provide analysis, make recommendations, and implement the solution.